You might not feel like making chocolate fondue just for yourself. But giving your apple slices a dip in chocolate pudding? Very doable! 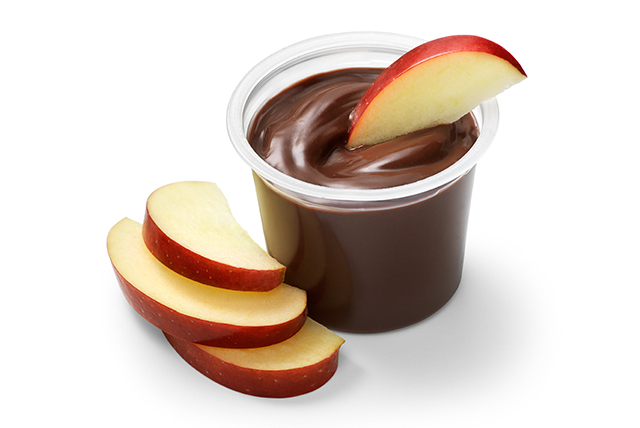 Serve apple slices with pudding snack as a dip. Substitute pear or peach slices, clementine sections, pineapple or banana chunks or strawberries for the apples. To minimize browning in cut-up apples, pears or bananas, toss the fruit with orange juice or juice from canned pineapple. Or, dip fruit into 1 quart of cold water mixed with 3 Tbsp. lemon juice; pat dry with paper towels.